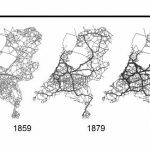 The analysis and simulation of land-use change has long been the topic of intensive research at the Vrije Universiteit Amsterdam. 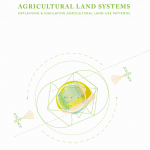 Analysis of trends and driving forces in past land use changes. Past projects include the explanation of land-use patterns and land prices through statistical (regression) analysis to underpin the development of land-use models within Europe or in other regions in the world. Currently we are involved in the analysis of property prices and land values c.q. empirical bid rents, see www.landvalues.nl for more information. With these analyses we aim to shed more light on the valuation of amenities and the explanation of (spatial) factors that determine the market price of residential land use. Simulation of future land use. We participate in various projects to further develop the Land Use Scanner model and continue to apply it in several scenario-based studies, for example related to climate change or agriculture. Validation of the model is the latest research priority. Impact assessment of anticipated land use changes. The ultimate goal of most simulation studies of future land use is to inform policymakers on the possible future state of several policy related issues. 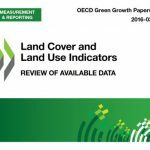 We assist this evaluation of policy themes with the development and application of indicators of land use change, related to for example the fragmentation of open space, the concentration of urbanisation and flood risk assessment.